Jackson Phillips, the sole brain behind California’s dazed-out rock group Day Wave, has recently inked a deal with Harvest Records (Glass Animals, Banks, Best Coast). He is following his big signing with a new single titled “Wasting Time.” This gloom-pop track, a tribute to being overwhelmed, features dreamy guitar licks cradling pensive words. Although the lyrics are simple, Phillips (formerly of electro-pop group Carousel) has replaced synth leads with melancholy riffs to give the listener a disorienting view of life as a young creative. 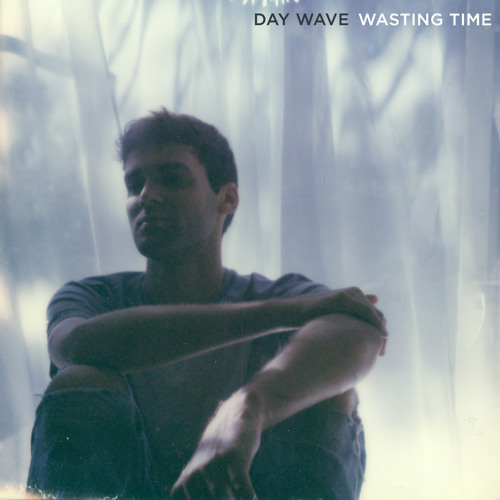 “Wasting Time” opens with an aching but upbeat guitar picking, immediately followed by Day Wave’s signature dream-rock vocal style. From the first note the nostalgia sets in, eliciting images of the quiet beauty hidden in a tumultuous youth– a smile from your crush at a basement party or driving around all night with music blasting to escape the nagging of newfound expectations and financial insecurity. We now live in a world where the “quarter-life crisis” is not only recognized, but also pertinent. This song captures the good, the bad, and the beautiful of being burnt out. “I won’t come back down” Phillips refuses as he pleas “I’m too burnt out.” In this verse, there is a desperate search for a needed breath. Much like the feeling of the rhythm, Day Wave creates an ethereal space in which the listener can stay suspended above the commotion. “I’ve done this before, I’ll just fall out again,” the artists admit as he builds into the chorus. It’s said that true insanity is doing the same thing over and over and expecting different results. In this bridge, the band becomes self-aware—acknowledging that falling out of sync is becoming a pattern. The instrumentation of the chorus brings the breath that the listener has been waiting for. As the first line of the chorus is sung, the song bursts upward and outward beyond its constraints. A new wistful soundscape is introduced by hints of acoustic instruments and lofty melody lines. “I push it all away” resonates over the rolling drum hits. The listener is left to wonder the meaning behind “I’m wasting all my time, I push it all away”. The chorus could mark a freeing declaration to push the old ways out, or it could be a vow to stay in the ether and away from turmoil. Either way, a new sense space is created, one with more beauty and less anxiety. Our world is ruled by a youthful culture that is moving faster than ever before. Sometimes, for your own health, it is important to step back and appreciate the splendor of the quiet moments. Day Wave is creating a new path that will keep him from burning out. In this song, knowing one’s self is the key to succeeding with sanity. In a time where many are seemingly worked to death, we might benefit from heeding Day Wave’s advice. Take a step back, check out this tune, and for once—don’t come down.